From left: Mike DeCecco, Jackson Latka and Jory Raphael, part of the leadership team at Parent Co and Notabli (photo provided). We’ve all been there. You open up Facebook or Instagram and are hit with a barrage of photos of your friends’ kids. After the fifth or sixth one, though, you’re probably all “oohed” and “awed” out. But what can you do? There’s not a ton of outlets for parents looking to share their little ones’ moments. And while social media platforms like Facebook and Instagram may be less than ideal for a host of reasons, they are still the most popular channels for doing so. 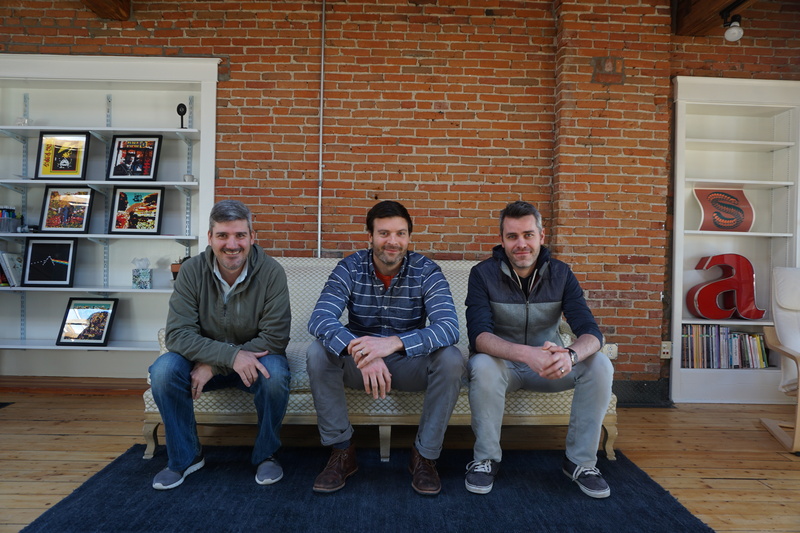 Enter Parent Co, the Burlington-based startup whose parenting Notabli app offers a solution. 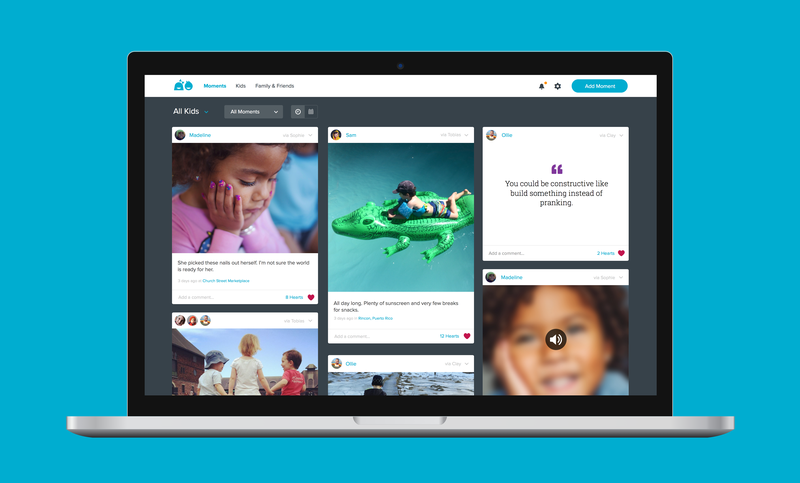 On Notabli, parents can compile moments, including photos, video, audio and text into one central location, as well as control who then gets access to that media. From there, content can be shared on traditional social media as parents choose. Launched in 2013, Notabli is the brainchild of Vermonters Jackson Latka and Jory Raphael, who were experimenting with better methods of cataloging life events online. They eventually connected with Tom O’Leary and Mike DeCecco, two former Dealer.com executives, who were also brainstorming ways to simplify parents’ digital lives. “Parent Co was formed to build these solutions. Teaming up with Notabli is the first step in that direction,” says DeCecco, 40, a Parent Co partner and head of strategic marketing. The mobile app marketplace is a crowded one. So what makes Notabli standout? He notes, however, that fathers do geek out on tech and gadgets, and the proliferation of the smartphones and similar devices has brought dads deeper into social media and mobile app pool. Notabli allows multiple users to post the same account, which eliminates the duplication between individual profiles you commonly see on Facebook, and allows other family members to share photos in the same place as well. Looking at the bigger picture, Latka wants users to think of Notabli as more than a scrapbook. As social media has increasingly become a part of our everyday lives, concerns over privacy and security have grown. From the threat of hackers making our personal information public, to the negotiations of privacy we enter into every time we post a photo or check-in somewhere, the web is a fraught environment for us all — especially parents. Facebook and Instagram have privacy controls, but both remain very public communities where personal media run the risk of forever slipping into the Internet ether. Latka acknowledges the need to respect the digital footprint you’re creating for your kids. He explains that Notabli’s ability to discreetly share access allows families to build an archive and potentially pass it on to future generations. Notabli might be making the digital experience easier for parents, but the goal, according to Raphael, is to also make it more fulfilling. “By forcing you to do one (photo) at a time, a parent will only upload the ones that actually matter to you,” he says. Since its acquisition last July, Notabli has existed under the umbrella of Parent Co, DeCecco and O’Leary’s company, which they developed as an online parenting hub. The Parent Co site is a mix of advice, essays, inspirational posts and humor, which reflects what Latka calls the “multidimensional” aspects of parenting. Parents can also share their own stories. There was also a purposeful decision to not only share their particular viewpoints on parenting, but also bringing in outside voices. It’s no secret building a successful startup is an uphill battle. One study puts the failure rate as high as 90 percent. Parent Co’s initial round of $1.8 million in angel investment capital allowed the company to get off the ground and even acquire Notabli, however, Latka is realistic about the limitations and pitfalls of venture money. He says Parent Co’s goal right now is to build products quickly, hire talent, and working toward being a sustainable business. Part of becoming sustainable is finding opportunities to monetize their product. While the Notabli app will remain free, Latka says they are exploring different ways parents will be able to pay for additional services and features. The trick, he says, is creating enough value that people will want to pay for it. One idea they are already experimenting with is providing printing services. 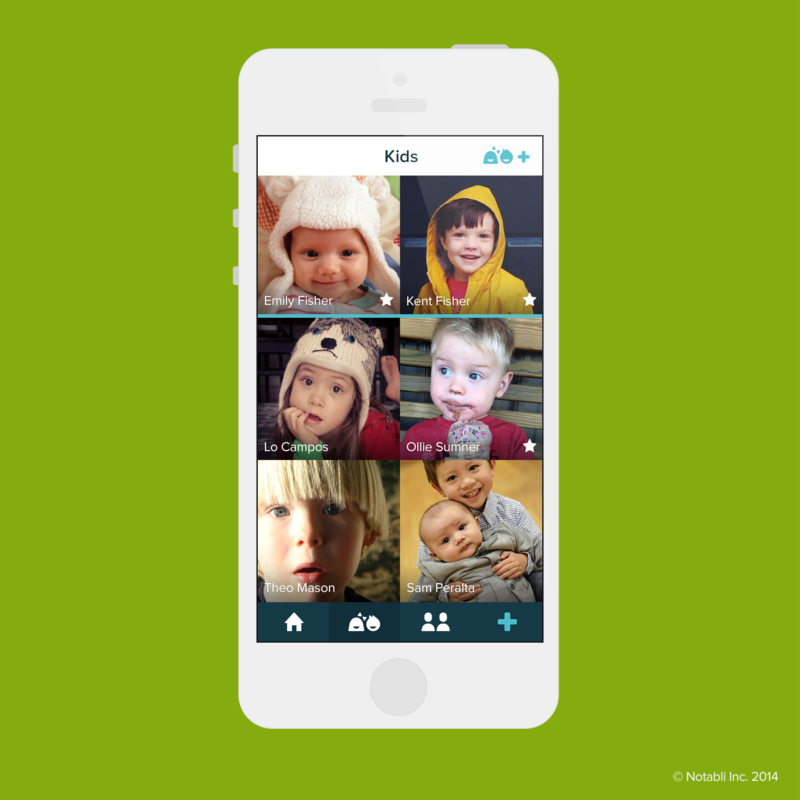 Right now, users can select photos to send out as printed postcards. Moving forward, Latka hopes to offer a wider range of printing solutions. Notabli will also remain ad-free. All involved seem keenly aware of the importance of not monetizing users’ personal information. Though Latka does see room for brand partnerships on the Parent Co site. While increasing revenue is essential to the company’s continued growth and health, Latka was quick to note that future projects will not “pull the rug out” from users. As for the current number of active Notabli users, Latka and company were tight-lipped; though, they did disclose that daily signups have increased by more than 300 percent since the web app went live on Feb. 17. Anecdotally, DeCecco says user feedback has been “better than we could have hoped.” One demographic in particular, which he says is “exploding,” is grandparents. The ease of using the app and not having to create a profile or even have a smartphone has been appealing to an age cohort traditionally skeptical of or intimidated by social media. In Apple’s App Store store, Notabli has an almost five-star rating with more than 100 favorable reviews. Most users sign up when their children are young. In attracting new users, Notabli is faced with the challenge of convincing potential users that it’s not solely a baby-focused app, and getting them past what Raphael calls the “it’s too late” mentality. Sites like Facebook and Instagram may represent one sort of competition, but Latka explains that a bigger obstacle is changing parents’ online habits. Parents think they already have it figured out without realizing there might be easier solutions. He cites email and text messaging as examples of inefficient means of sharing and archiving media. When asked why they chose to set up shop in Burlington, DeCecco explains that the choice was not one of where to start a company, it was where they wanted to raise their families. Looking outward to the rest of the Burlington startup community, Latka notes the success of companies like Dealer.com has helped to feed the success of other companies like their own. He says he sees increased camaraderie within the community with a great deal of collaboration occurring in the numerous shared working spaces throughout the city. Parent Co’s College Street headquarters features one such space called Study Hall. Latka says he enjoys the interplay between creative space and companies, and being able to leverage those opportunities. People who use their space have been tapped for projects, brought in for collaboration, or even hired outright as they have grown their 14-person team. With eyes toward the future, the Parent Co team seems to have much on the horizon. They are vague on specifics; however, what they can reveal is that an Android version of Notabli is on the way (it’s currently only available for iOS). They also say they are looking forward to launching the next Parent Co product — though they are mum on what it is.